Listen Music from "Advent Rising"
Listen Music from "Kingdom Hearts"
Tommy Tallarico is the creator, executive producer and host of the show. He's been a part of the gaming industry for 20 years as a composer, designer, producer, and more. He's won more than 45 industry awards and is in the Guinness Book of World Records for working on more commercially released video games than anyone else in the world (more than 275). Tallarico grew up in the age of PONG, and the moment he played it he was hooked. "I couldn't believe I could manipulate stuff on a television set," Tallarico said. "My two greatest loves growing up were video games and music, but I never thought to ever put the two of them together because there was no such thing as a video game composer in the 70s." When Tallarico was 10 years old, he would take a cassette recorder to the pizza parlors and arcades to record his favorite video game music. When he got home, he would charge the neighborhood kids a nickel to come watch him play air guitar to the cassette while the game was playing on the television behind him. Now, Tallarico is able to charge a bit more than a nickel, and he's taken the show around the globe. "Who knew 30 years later I'd be doing it in places like the Hollywood Bowl with the L.A. Phil or playing to a hundred-thousand people in China." The show is unorthodox for a place like the Hollywood Bowl or our own Orchestra Hall, to say the least. The on-stage orchestra is combined with lighting effects, video elements, and audience interactivity. You can also expect electronic percussion, soloists and live action. 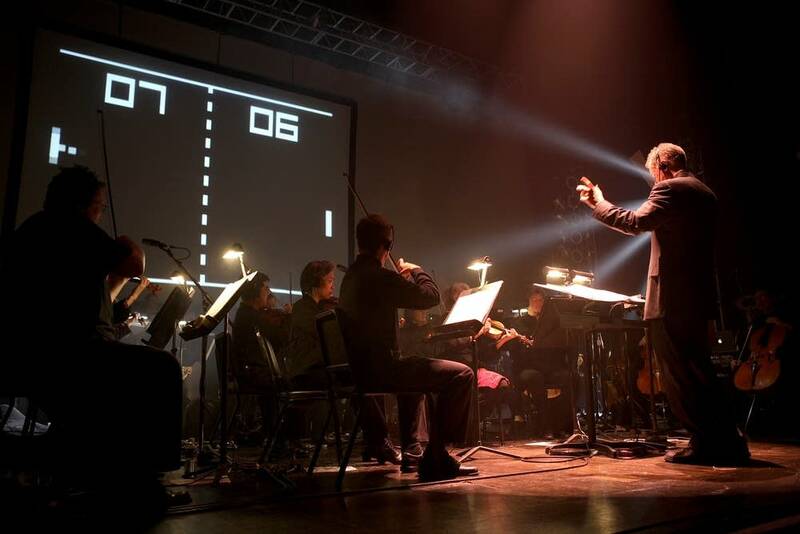 With that in mind, how does Tallarico convince prestigious orchestras like the Los Angeles Philharmonic and the Minnesota Orchestra to perform a show like Video Games Live? "The reality is that they're all suffering right now. They need to bring in a younger generation. The symphonies love bringing in new audiences." The truth of the matter is this: At this point, Tallarico easily could hire his own group of touring musicians, rather than bringing the show to different orchestras around the world every couple of weeks. But he is just as passionate about opening the eyes of non-gamers to the world of gaming as he is passionate about drawing in a new generation of classical music lovers. He wants Video Games Live to be performed by the Minnesota Orchestra so that people in the state of Minnesota want to go back and hear more of the Minnesota Orchestra. In 2009, the gaming industry generated $10.5 billion, according to The Entertainment Software Association. More than a quarter of the population over the age of 50 plays video games. Shockingly, the average gamer is 34 years old. So what kind of audience will be at Orchestra Hall Friday night? Last year, 89 percent of attendees had never been to Orchestra Hall for a classical concert. Eighty-nine percent. And fifty percent had never even stepped through its doors. Tallarico created an outlet for gamers who happen to be musicians but didn't have a place to go hear the music that permeates their gaming lives. He pointed me to www.ocremix.org, a website where musicians all around the world upload files of gaming music they've remixed their favorite melodies from their favorite games. There are tens of thousands of people creating and sharing music because of the games they play. The reality is that they're all suffering right now. They (the orchestras) need to bring in a younger generation. The symphonies love bringing in new audiences. Tallarico wants those musicians to go see Video Games Live, but more importantly, he wants them to go back again to hear Stravinsky or Bach live. "There is nothing like listening to fifty to a hundred musicians on stage performing the music of Beethoven and Mozart." Tallarico gets letters and emails from parents after every Video Games Live performance saying their children are now interested in learning to play violin or some other orchestral instrument. "We get so many letters like that," he says. 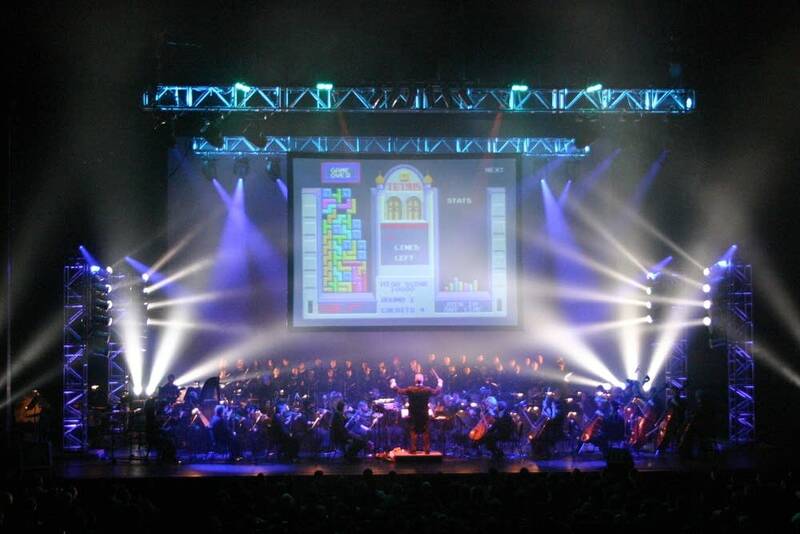 If Video Games Live can indeed continue to ignite a classical musical journey for a younger generation, I'm all for it. I hope to see you at the show. Next week, I'll speak to a handful of students involved in orchestras that perform video game music. Until then, click the link on the right to hear a track from classical piano giant -- and gamer -- Lang Lang's latest recording project.